Welcome to our Week in Review! 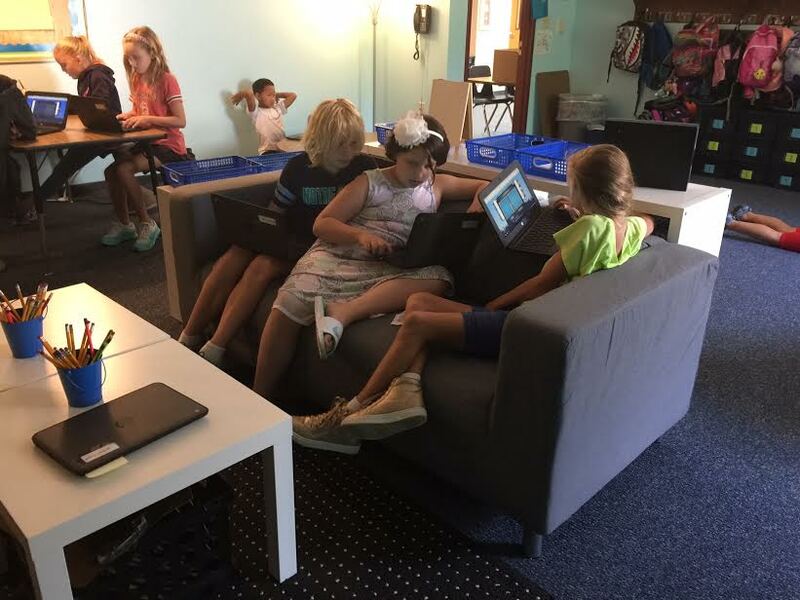 We do a digital newsletter in 4th grade. Each week you'll get an email to check to blog for updates from our classroom. Monday, August 21st - Solar Eclipse Day! Please let me know if your child will not be at school this day so that we can plan accordingly. 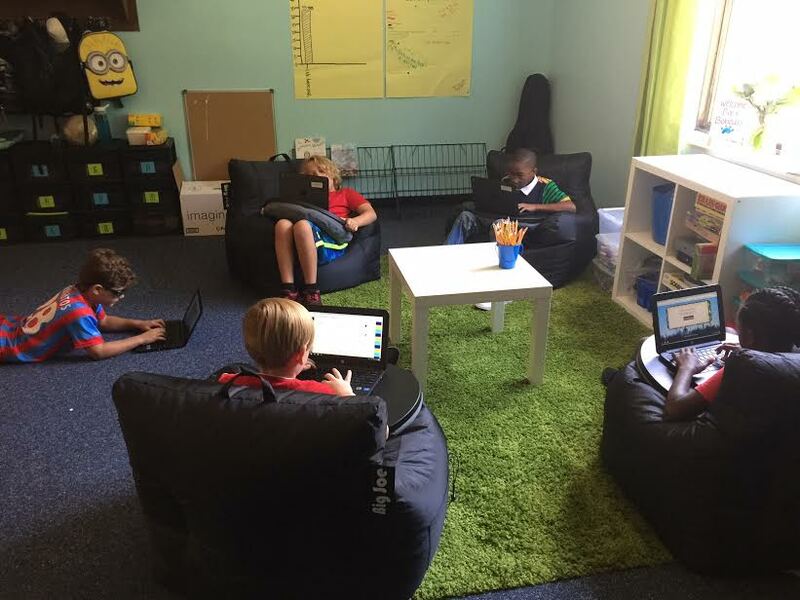 On Wednesday we had a great time exploring our new classroom set up. 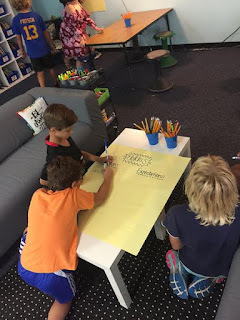 Students spent time writing questions about each new piece of furniture. We used the questions students asked to create expectations for our room. Students also worked in groups to answer questions about reader's workshop. 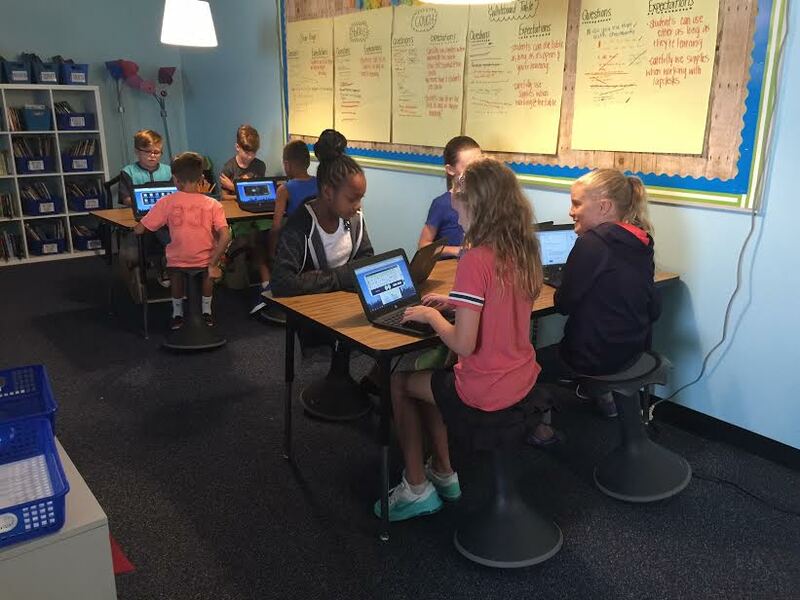 During this time I worked with small groups to introduce our class library and assist students in book shopping. We started Thursday by reviewing expectations and practicing our transitions to and from the meeting place. Next we watched a video from Leader in Me about teamwork. The students heard the story of a blind man who worked with his team to reach the top of Mount Everest. 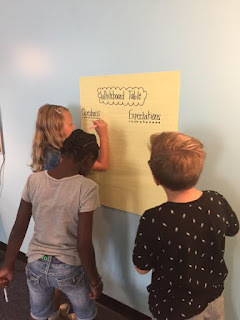 We held a class discussion about teamwork and the importance of it in a classroom. Students discussed real life applications for teamwork they have seen in the classroom and around school. 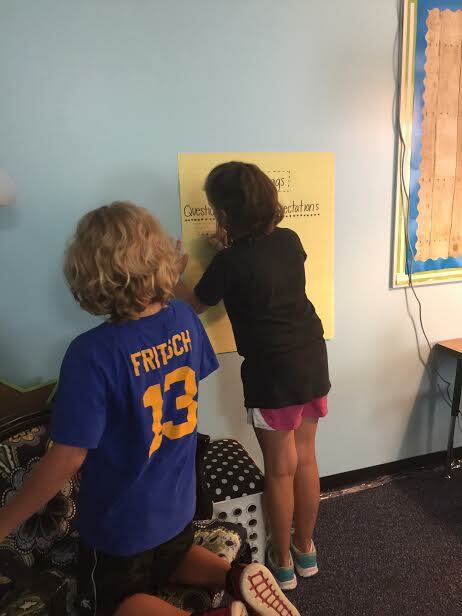 After discussing leadership students began thinking of their "Six Word Story". In other words, what six words do we want to be know for. We used these words to decide on a class name and eventually write our class mission. 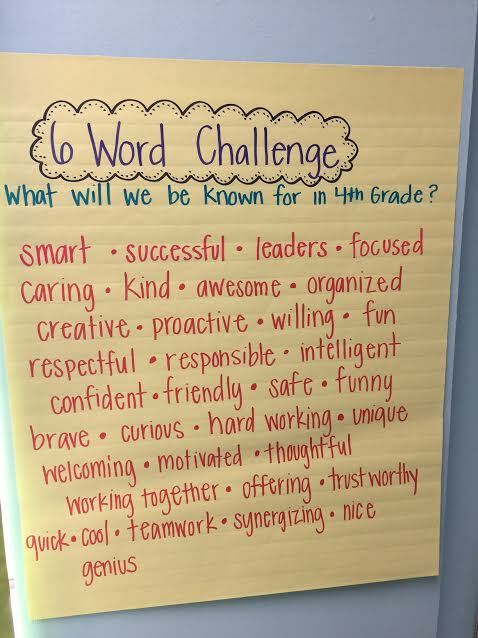 Take a look at some of the words we came up with from our individual six word challenge. After much deliberation, we will Mrs. Wood's Woodpeckers! We wrapped up Thursday with some independent reading time and a class meeting. 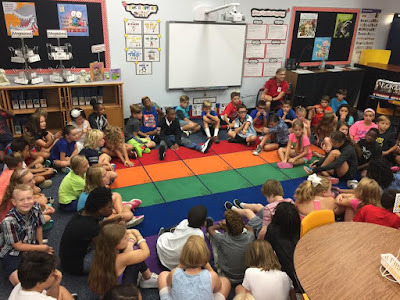 Finally, on Friday we had our first of many 4th grade meetings. This year the entire 4th grade will get together once a month to discuss positives and deltas (things to change/improve) that come up during the times we're all together (mainly recess and lunch). 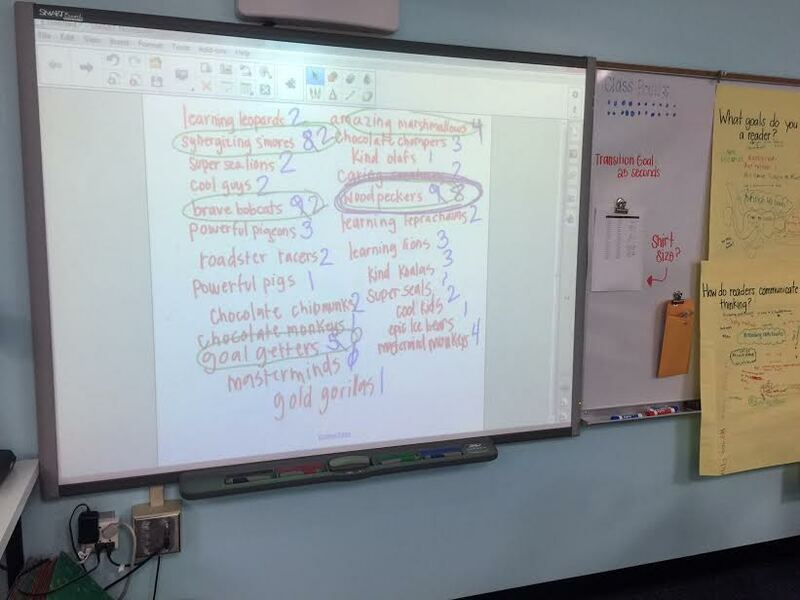 Today students did a great job celebrating successes as well as working out some of the concerns at recess. I'm looking forward to seeing the 4th graders synergize together throughout the year. 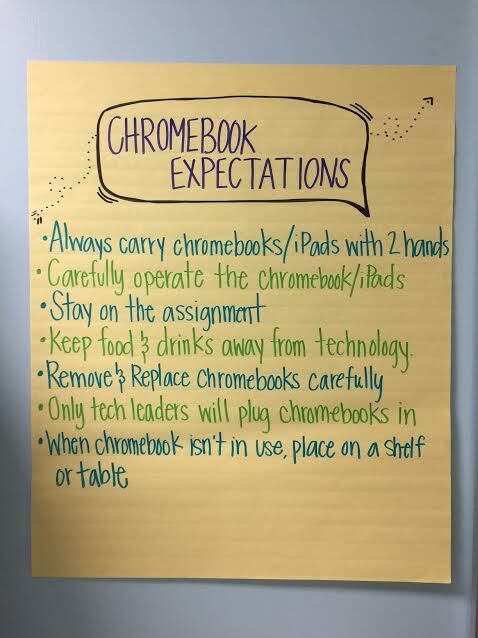 When we returned back to the classroom we worked together to create a list of technology expectations. 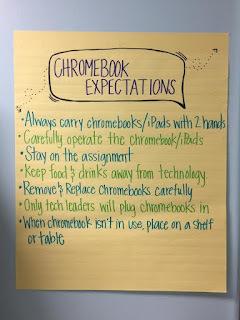 Students spent time reviewing safe procedures for using chromebooks and iPads in the classroom. 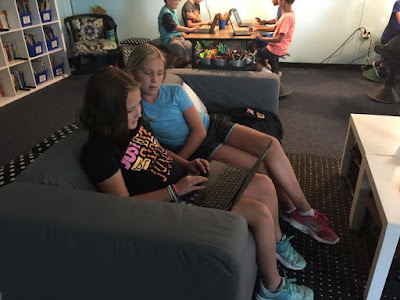 Students also applied for classroom jobs, explored the blog, went to their first Orchestra class, met with our new assistant principal Mrs. Hellwig and even squeezed in some independent reading time. Our first week together was GREAT! I am so excited to work with this group of students this year, I have no doubt that it will be a fantastic year.